Since long before coffee grounds could be converted into bio fuel, coffee has been fuelling the daily activities of entire universities – for staff and students alike. But while enjoying a take-away coffee from an on-campus café is great, the amount of waste created by disposable cups is not. Every year, the daily coffee habits of millions of people send billions of disposable cups to landfill; a significant environmental problem that many tertiary institutions are making the effort to address through sustainability programmes. With the post-disposable world now a not-too-distant reality, collaborating to implement disposable-free initiatives – to create a world where people no longer need, or want, single-use convenience objects – is more important than ever. Looking to the United Kingdom’s leading universities, the delivery of engaging programmes around reuse that have inspired collaboration between students, staff and on-campus businesses have seen the greatest success. Since introducing KeepCups into its on-campus cafés, the University of Edinburgh has seen reuse rates rise continuously. Martin Bonner, head of catering operations at the University, noted a massive 87% increase recorded last year, based on the previous year’s results. When the University of Glasgow introduced colourful co-branded KeepCups on campus, it also rolled-out a 12p charge for disposable cups to further encourage reuse (ahead of the proposed 25p latte levy). The University of Bath saw that the key to encouraging ongoing reuse is making it fun and engaging. 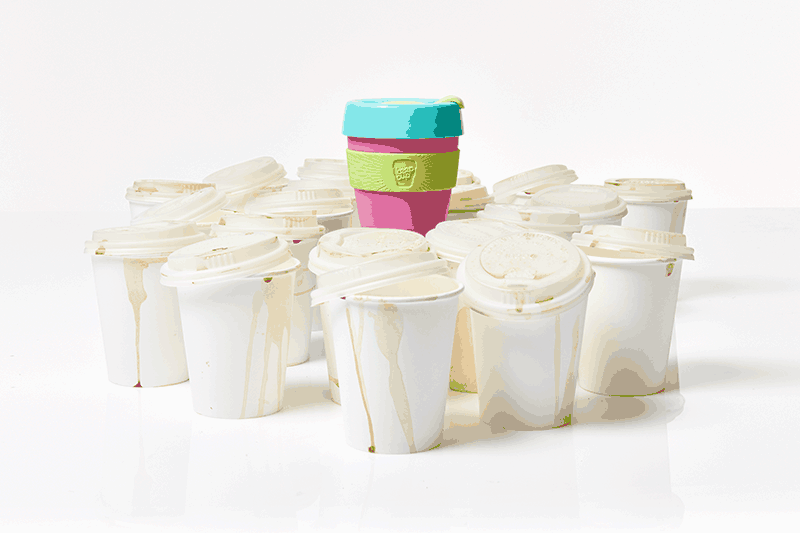 KeepCups are an important part of its broader ‘Leave No Trace’ campaign, which inspired staff, students and on-site businesses inspired to collaborate around reuse. Introducing KeepCup as a locally made, reusable alternative to disposable cups – that people feel inspired and proud to carry – is just one way to inspire reuse, but it can be a pretty powerful place to start. For more information please contact Chris Baker, General Manager KeepCup UK: chris@keepcup.com or visit uk.keepcup.com.